Dr. Jiwen Fan, atmospheric scientist at Pacific Northwest National Laboratory, led a research team finding that air pollution can significantly contribute to extreme weather conditions that can result in floods or droughts. The news article featured a profile of Fan and her research in the September, 2015 edition of Global Times, a newspaper journal that focuses on news in China. 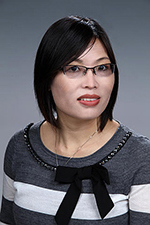 Fan, a Chinese-American, covers research in atmospheric chemistry, aerosols, cloud, and convection studies. She is an internationally-recognized expert in the field of aerosol-cloud-precipitation interactions, and a winner of 2015 American Geophysical Union's Ascent award recently mentioned on Earth & Space Science News (EOS). She received a Ph.D. in atmospheric sciences from Texas A&M in 2007 and joined PNNL as an atmospheric researcher that same year.